Real Madrid forward, Cristiano Ronaldo, will be fit for the Champions League final against Liverpool in a week’s time, says manager Zinedine Zidane. 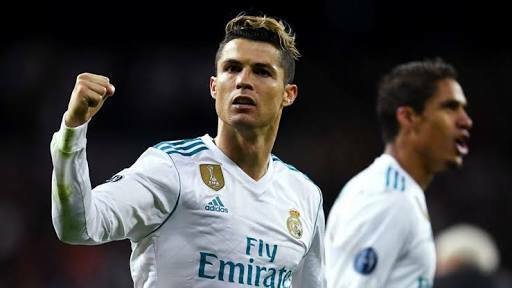 Ronaldo, 33, has not played since spraining his ankle during the El Clasico draw with Barcelona earlier this month, but could feature against Villarreal in La Liga today. Real will attempt to win their third straight Champions League title when they meet Liverpool in Kiev on 26 May. “Right now he is 120% fit,” said Zidane. Zidane added Ronaldo, who will captain Portugal at this summer’s World Cup in Russia, is available for the match at Villarreal as Real try to finish second behind rivals Barcelona. They are currently three points behind Europa League winners Atletico Madrid, who face Eibar tomorrow, but have a far superior goal difference. Gareth Bale scored twice in a 6-0 thrashing of Celta Vigo on Saturday and got the equaliser in the 2-2 draw with Barcelona, but Zidane would not be drawn on whether the Wales forward had played himself into contention to start in Kiev.